If Jose Mourinho asked Ed Woodward, "Can I have another season?" on Tuesday morning, it is quite clear what the answer was. Manchester United are searching for an interim manager, a long-term successor and looking to overhaul their footballing operation. But there is another Manchester institution that has also been thrown into flux. Mourinho's decision to live at the five-star Lowry Hotel since joining United has been well-documented, with the enduring nature of his stay set to serve as a metaphor for an unsettled and fractious spell at a club that never quite felt like home. By being sacked shortly before 10:00 local time, at least the Portuguese had a fighting chance of avoiding a late check-out charge. But that would have amounted to small change in terms of his overall outlay in plush surroundings on the banks of the River Irwell. - Mourinho made one of the Riverside suites his home, where the average cost is £785 per night. - He started officially as United manager on July 1 2016 and checked in at the Lowry five days later, meaning the room bill over the course of 895 days comes to £702,575. - If that sounds a lot, bear in mind it would not come close to covering a fortnight's pay for transfer flop Alexis Sanchez. The Chile star was reportedly lured to United from under the noses of Manchester City in January with a package worth in the region of £500,000 per week. - One of the Lowry's more basic rooms is yours at £119 for an overnight stay. Had Mourinho taken that downsized option, his bill would have come to £106,505. The perfect reward after a hard day of Christmas shopping, a festive afternoon tea! What does he get for his money? Staying in the Lowry's Riverside suites guarantees a certain standard of luxury. 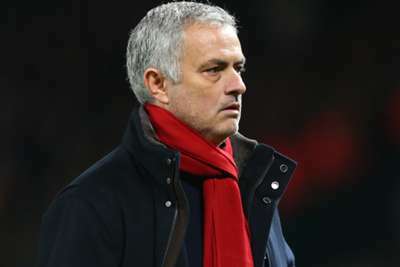 Mourinho had use of a walk-in wardrobe for all of his tracksuits and matchday coats, an in-room bar, kitchenette and an ensuite bathroom that glistens like an enormous Glacier Mint. He also got two – because one isn't enough – smart TVs, high-speed internet and "individually" controlled air-conditioning – no doubt a useful feature for when he started to feel the heat towards the end of his United tenure. Down in the restaurant, Mourinho could get kitchen staff to rustle up beetroot buckwheat risotto with smoked feta and sun choke crisps. Unfortunately, the divisive purple root vegetable is not the only thing leaving a bitter taste.